Ontario’s craft beer scene is hopping now. But it wasn’t always the exciting beer destination it is now; this growth has been 30 years in the making. As of the publication of The Ontario Craft Beer Guide, Second Edition, there were over 200 breweries. The second edition comes out a year after their first, updated it to include profiles new breweries, and revised information about places that have changed (since we all know how quickly things evolve and change in Canada’s drink industry). 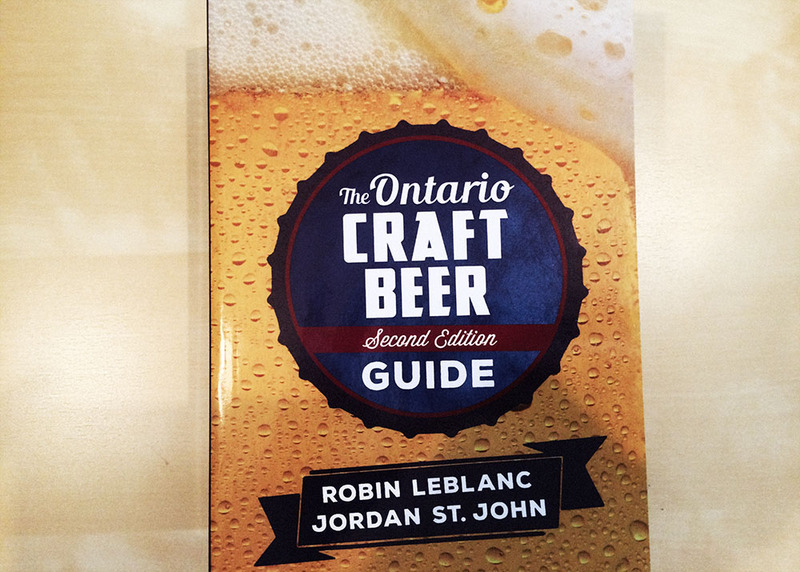 Written by Robin LeBlanc and Jordan St John, it is a comprehensive guide to Ontario’s craft beers and brewers. LeBlanc owns The Thirsty Wench, an award-winning craft beer site, and wrote Metroland North media’s syndicated column, “On Tap”; St John is a certified Cicerone and author of Lost Breweries of Toronto. According to the introduction: “The purpose of this guide is to assist you in navigating Ontario’s craft beer market and finding something that you might like to drink.” It does indeed do that. Within the 594 pages, you’ll find a brief history of how beer evolved in Ontario; ways you can purchase beer in Ontario (for those not familiar with the LCBO’s regulatory system); brewery profiles with a short introductory plus contact, website and social media information; and tasting notes of their most popular beers. At the back, there’s a list of brewers by region, which makes it easy to pick a few places to go when you know which region you’ll be in. The Index of Beers in Ontario is great for people who know the name or type of beer they want/have, but don’t know who made it. There’s also a lot more information than I can fit into this review. It’s a well-written, easy to read guide that every beer lover in or visiting Ontario should pick up.